Joni, email me with your mailing address and we'll get those sent off to you post haste - courtesy of CropStop! My email address is in the contact tab above. BUT never fear, you can order your own Pocket Pagez or you can try again this week! (rules posted in blue at the bottom of this post) Receive 10% off at the Crop Stop when you use the coupon code DIVA - awesome! I'm thankful for Rick and Maria - for their generous spirits, and for the gift of Zentangle in my life. I'm thankful for the friends i've made through this challenge, and for the chance to be a part of this movement of creation. 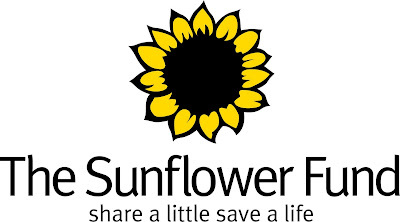 In Republic of South Africa, on 12 October we have Bandana Day, which is run by the Sunflower Fund. This is an organization founded in 1999 in support of the SA Bone Marrow Registry for people suffering from leukemia. Every year our local retailer (Pick n Pay) sells Sunflower bandanas and the proceeds go towards the Sunflower Fund...everyone wears a Bandana, somehow somewhere on this day! 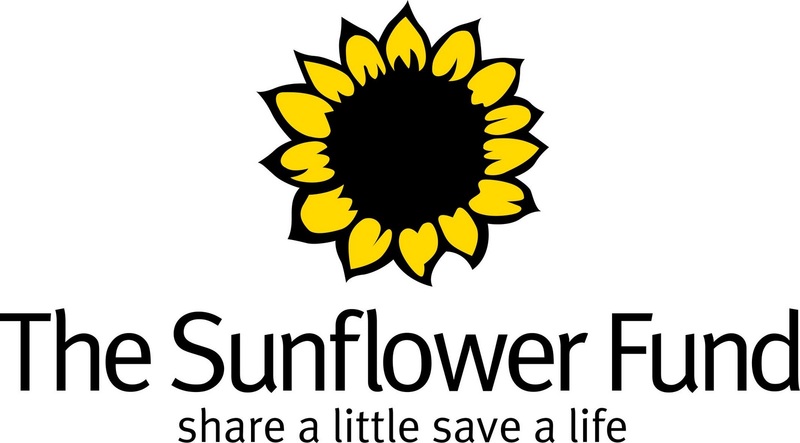 I wondered if you could incorporate the Sunflower Fund logo somehow as a Challenge during the week 12 Oct?? 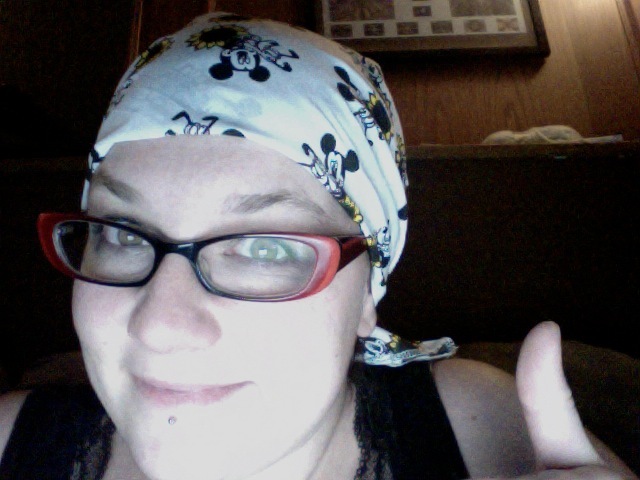 Penny also generously offered to mail me a bandana. So, this week use create a tile or ZIA inspired by the sunflower! Thanks so much!! The Bandana looks great! Once again, a great challenge...and I checked out pennyb's blog....thanks for sharing the world with me!!!! Hi All, Fab challenge, don't know what number I am this week can't tell if the link is working. My PC playing up. Brilliant blog, love the Bandana. Hi me again, looks like I am #1!!! how cool is that. Great challenge! Love sunflowers so it was fun - Thank you! Happy Thanksgiving! Your tile is so beautiful! I love it so! I am number 8 this week. Thanks for putting forward such a great cause. I think I am number 10 this week. Wonderful challenge. Happy Thanksgiving and great idea with the Sunflowers. Penny B, thanks for sharing! Great Challenge....I was not aware of this Foundation so thanks for sharing. I am entry #12...have a great week! Laura, you do totally make it work. Thanks for the sunshine of the sunflower. How happy and what a great cause! I don't like winters and it's been raining for tree days so thank you for the sunflowers in this challenge. I'm number 18 this week. I loved having the chance to do another watercolor background in the yellows and browns. I'm number 19 this time. Love your sunflower tile. Cool... I made it in this week. I'm at #19. Sounds like a very worthy cause. Thanks for the challenge. I'm #21. Thank you to Penny for giving us such a meaningful challenge this week. It also gave me a chance to honor the memory of my childhood friend, who died of leukemia when I was 12 years old. I am #23. Thank you, to Laura, also for this awesome community of Zentangle challenges and for sharing all your gratitudes on your Canadian Thanksgiving. Your kids are the cutest! I'm #27. Only had time to do one this week. I am #28 and a first time linker to this challenge! I'm a quilter, but doodle all over everything I have when I am sitting listening to presentations or lectures. 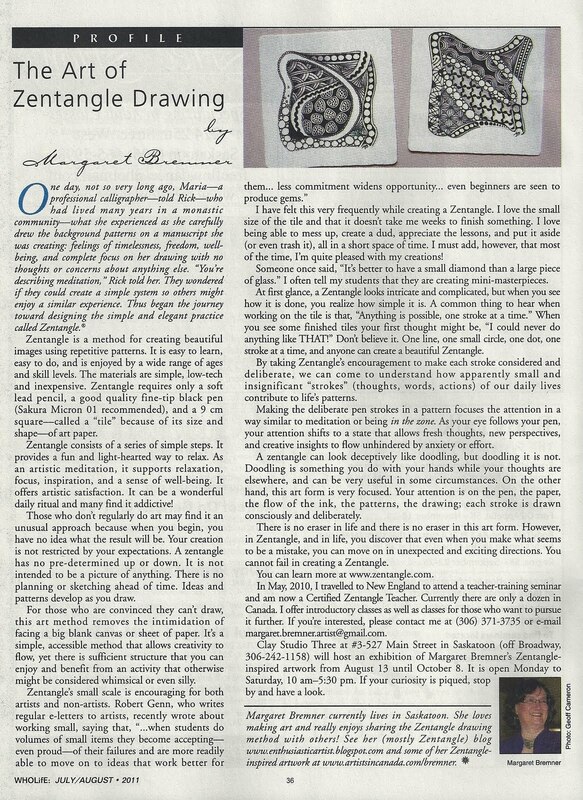 I have not actually purchased and worked through any material on Zentangle-ing but I browsed through a book at some point and I love the concept. I am anxious to have the time to look at all the links above to see what everyone else is doing with this challenge. Looks like we've put our posts up at the same time Eden, as it's showing me at #28. But it's a beautiful piece you've created! I love that this challenge lends itself to both simplicity and complexity and there seems to be an interesting collection of both. Make me #30! Great challenge, great cause, posted the US site on my blog. Great challenge and great cause - I love sunflowers, so this was lots of fun. Just curious....Are all zentanglers who respond to the challenges only women ? with my husband being the exception! How many zentanglers are men ?.....baring Rick and Dilip! Whew! Finally got it finished. Hubby has been in the hospital this week, and I just couldn't concentrate on anything while sitting there. He's home now, so I was able to wrap my poor little brain around the challenge! Good one! Thank you for the challenge! I am #38. 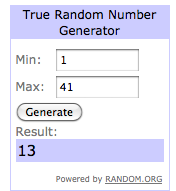 I am number 43, this challenge touched me in surprising and unexpected ways. Thank you for the inspiration! I am number 44, comment number 31. Thank you for hosting this awesome challenge each week!! And what a wonderful prompt for a wonderful cause!! Your thanksgiving sounds wonderful!! You are very lucky to have so many blessings! This is my first challenge. This is fun! Thank you so much for doing this! Hi Laura, Love your sunflower! I am #49 this week. Thanks! Great challenge! Really did like the meaning behind this theme. Hope all is well with you and your family. This week I'm #50. Loved the reason for Sunflower challenge - my entries not as much. I really do better with the abstract - when it has to actually look like something I'm in trouble Ha! This is my first challenge. I'm looking forward to many more. I'm number 55 on the linky thing. I would love to do more flower challenges, this was sweet. thank you.